Welcome to our "BEST OF BEST DREAM 11 " for "ZIMBABWE VS PAKISTAN " second ODI match . 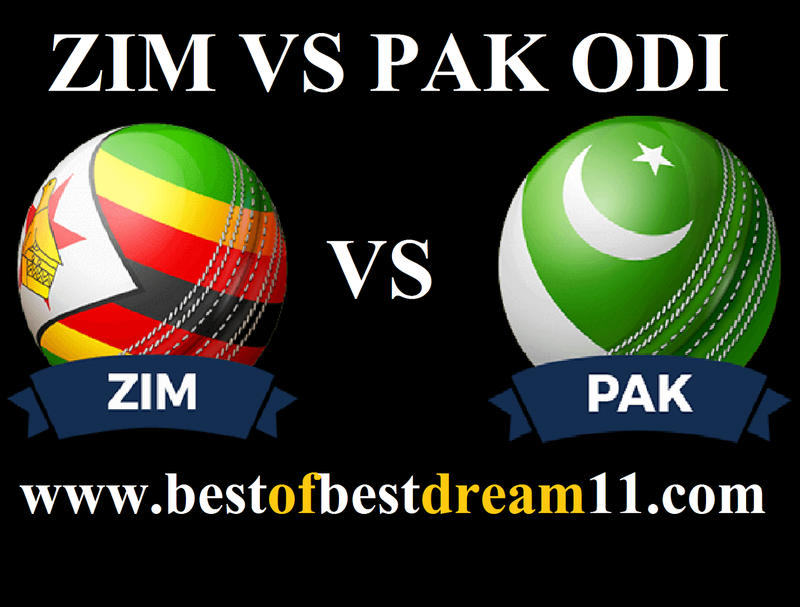 Here is best "ZIM VS PAK" ,SECOND ODI ,match dream 11 team for the Fantasy user ,who venue are looking to make a strong team for maximum win. We are providing latest news, match update, information about the match .The team is picked by using various factors on the basis of performance, ground stats and latest form. Pakistan have defeated Zimbabwe in the first one-day match of the five match ODI series. Earlier , batting first ,Pakistan scored an impressive innings of 308 run. In reply, Zimbabwe's team was all out for 107 runs. 1- Imam Ul Haq sizzled with a swashbuckling 128 run(134 balls) in the first game as he and Fakhar Zaman 60run(70 balls) accumulated 113 run for the opening wicket. 2-Asif Ali's swashbuckling innings (46 run just 25 balls) helped Pakistan score a magnificent 308 in 50 overs. 3-The entire team of Zimbabwe got all out for 107 in front of SHADAB KHAN'S(4WICKET)deadly bowling. 4-Tendai Chatara(2 wicket) and Donald Tiripano (2 wicket0 took wicket for ZIM. 5-After losing the first ODI, there can be some changes in ZIM.